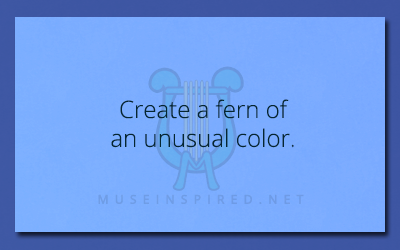 Fabricating Flora – Create a fern of an unusual color. Fabricating Flora - Create a fruit that looks dangerous. Fabricating Flora - Create a water plant known to give people the poops if they eat it.